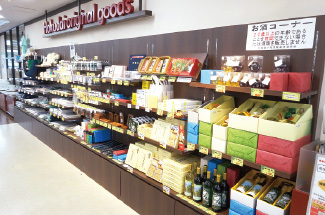 Various products are divided into categories. Seikyo Mansion, adjacent to the co-op building. 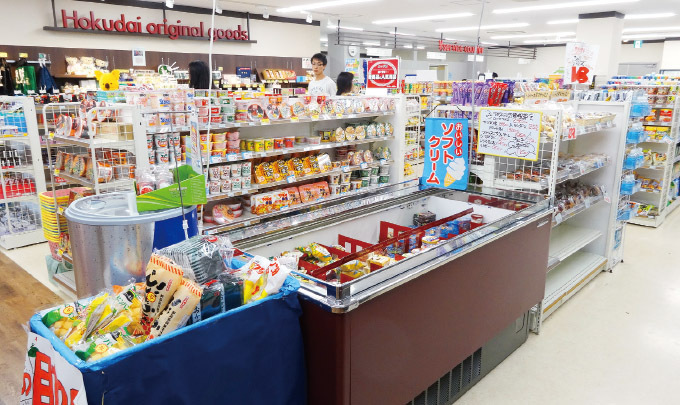 In 2014, Hokkaido University Co-op experienced a rapidly changing environment compared to a typical year, by having store renewal and opening of new store. 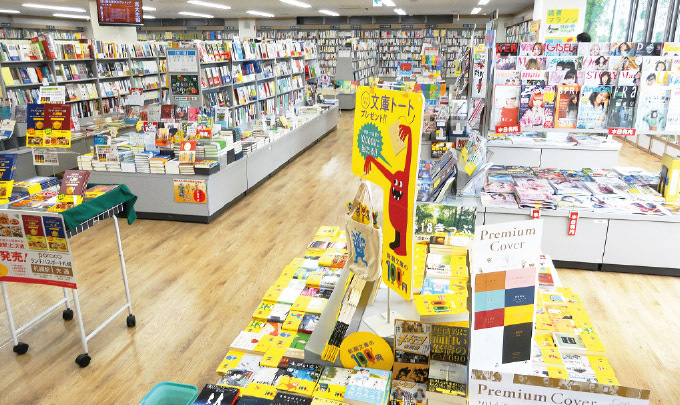 Starting on January 20, 2014, under an extreme cold weather below zero, the co-op members eagerly awaited the store renewal opening of Seikyo Kaikan very early before 4 AM. 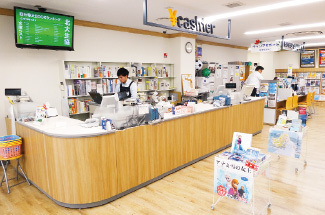 The co-op staff even had to assign quotas limiting the members’ entrance to the store, which is located at the southernmost part of the campus, because of the overwhelming number of members. 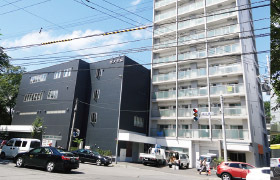 In recent years, new facilities in campus are built far from Seikyo Kaikan, which impacted the use of co-op by members. 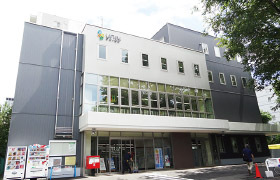 However, Seikyo Kaikan is the only building in campus that was built by ourselves, so we have to continue operating in this place. Aside from the co-op stores (general store in first floor and bookstore in second floor), we built a hall to enable co-op and members to hold events, such as new semester events and student-initiated courses. Since its opening, various events have been carried out regularly, including on Saturdays and Sundays. The co-op apartment (Seikyo Mansion) adjacent to the co-op became one of the popular places to live to co-op members. We know that movement of people in the campus has continued to change, so we will also continue to plan events that can only be held at Seikyo Kaikan. Alcoholic beverages, processed foods, goods & accessories, university merchandise. Rich assortments of goods sold at the second floor. Information is displayed at the digital signage. 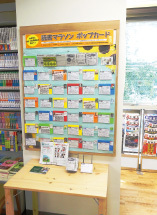 Career support corner is located on the right side of the cashier. 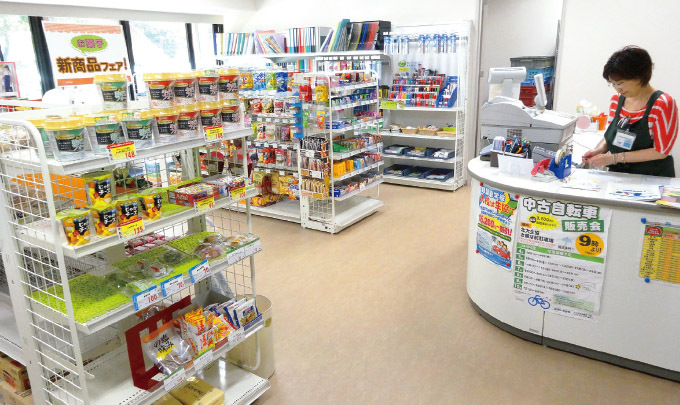 Health Sciences store and Veterinary Medicine store were renewed in early April in time with the new semester. Both store incorporated many requests of members and faculty. 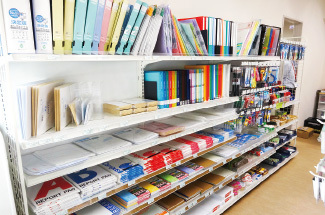 Health Sciences store changed its business hours to provide service to those who are staying up late on campus, and added more stationery to sell. 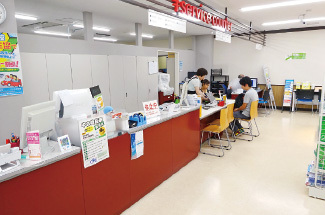 Also, previously there was no cafeteria near the Veterinary Medicine store. 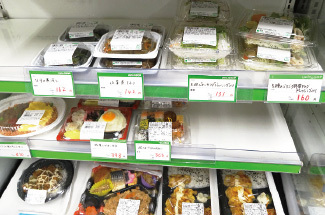 But after hearing requests from members that they wanted to eat hot food, along with the re-opening of the store, we changed it into Hokkaido University Co-op's first store that enables members to eat there. 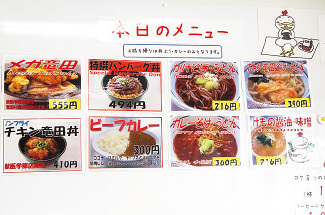 The different menu from the cafeteria is also popular. 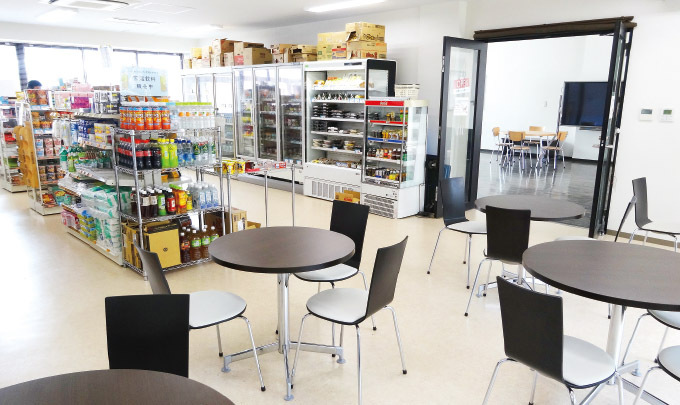 In June, we opened two small shops (School of Letters Building, Faculty of Science) that mainly provide lunch only. The space is so small that each store can only hold five people. Before June, we only sold lunch boxes using one table at the same place. However, we began to hear requests from members, such as request to sell beverage, sweets and desserts. 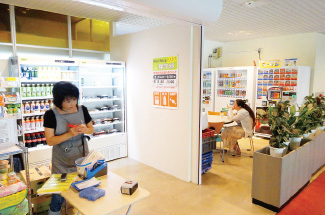 Then, we rented a small space enough for a small refrigerator from the university, and opened a small shop in June. The small space and the close distance between staff and members has created a friendly service and attracted the members. Hours are prolonged to 18:30 to cater for members who stay late. 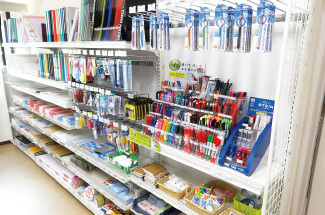 General store, which provides stationery. 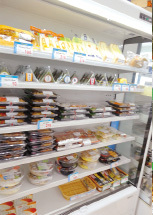 After buying food, members can eat the food at the eat-in corner (upper photo). Small Shop at Faculty of Science. Small Shop at School of Letters Building.